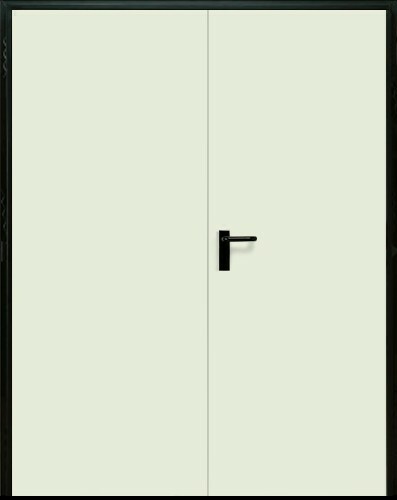 Multiport doors are variant of fire resistant door, but without the performance of resistance to fire. It is chaper but has the same robustness and durability as a fire resistant door. It is formed by a metallic frame of 1.5 mm of thickness, welded in its corners, and a panel of 61 mm of thickness with metal sheet of 6 mm filled with an insulating EPS plate. The standard final finish will be in white oyster prelaquered sheet similar to RAL 9002 and black frame RAL 9005 or white as the leaf, and as special finishes , other RAL and imitation wood.